St. Patsy will be celebrated along with St. Patrick at Cowgirl on Tuesday. Even Cowgirls get the greens on March 17 at Cowgirl, the honky tonky-ish bar and restaurant in the West Village which hails the arrival of St. 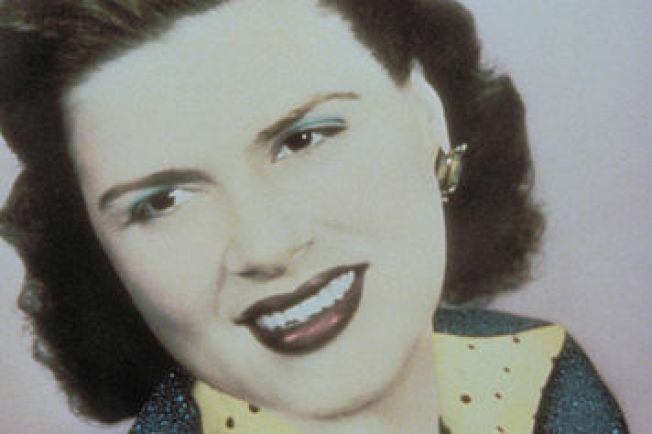 Patsy Day on Tuesday — in honor of the country crooner. In addition to being decked to the gills with Cline adjusted shamrocks, St. Patsy Day coffee mugs emblazoned with an emerald version of the singer's visage and all manner of fringed green decoration, the spot also offers a holiday meal that's a mix of old Old West meets Auld Sod. The prix fixe menu starts off with greens, of course, and greenest pea soup then moves right into a choice of the standard corned beef and cabbage or vegetarian Shepard's pie (carrots, peas, okra, squash, asparagus and red beans topped with butternut squash) for those scared off by a little pickled silverside hind quarter-cut beef. The bar will leave its tequila on the shelf for the evening (no slouch when it comes to that department in spirits — they have like three shelves worth and offer tequila "flights") and opt instead for the Jamesons with holiday cocktails The Ginger Man (Jamesons and ginger beer) and Irish Honey (Jamesons, Wild Turkey and honey on ice), as well as a $3 Rolling Rock can special. Of course, the tequila may be unholstered as well; after all, it wasn't God who made honky tonk angels.